I finally appear to have found a fairly large new residential development locally that passes the Németh Test. And the firm of architects, ABIR, are tucked away just around the corner from me on my favourite mews, Wilbury Grove. Like ABIR’s inconspicuous offices in Hove, George Williams House is hidden away out of sight. It sits just north of the Old Shoreham Road near Portslade Old Village but has little in the way of its own road frontage. There’s just a narrow driveway down from behind. 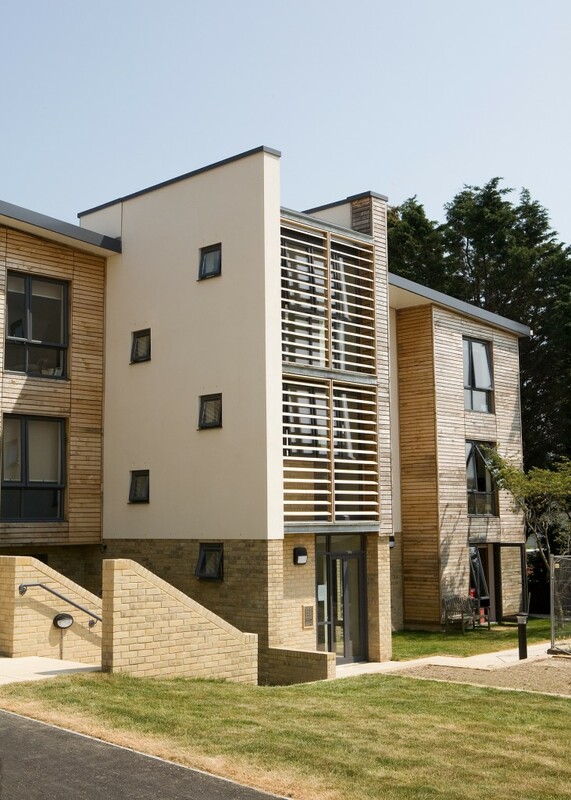 The development was built for Brighton YMCA and consists of 63 units of accommodation for the vulnerable. 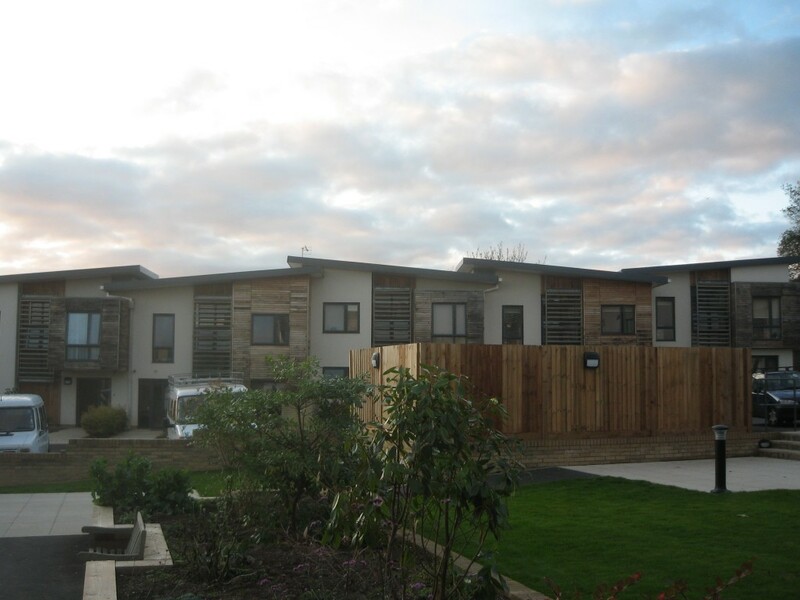 This breaks down as 25 shared units in 5 joined house-like buildings, 36 self-contained units in 3 connected blocks of flats, and 2 separate units for staff. There are also offices, IT suites, art rooms and kitchen for training. It replaced a building on the site which fulfilled a similar role but was no longer fit for purpose. The most obvious materials on display are galvanised steel, brick, render, sweet chestnut and powder-coated aluminium doors and windows. The blocks are arranged as a quadrangle which adds to the intimacy of the accommodation. Units for the disabled spread across three floors (accessible by lift, of course) which was a deliberate move away from the usual ground floor arrangement. Some of the rooms even come with views of the sea and Downs. Construction was carried out by W. Stirland Ltd and took place between 2006 and this year at a total cost, including all design work, of £5.1 million. Upon entering the secure bottle-neck entrance to the site, it is immediately evident that much thought went into the landscaping of the grounds. Thankfully, it was possible to remove a number of mature plants from the old garden and return them to new beds. A number of trees have been planted and one of the blocks even includes an environmentally-friendly sedum roof. Although the bin store in the middle of the courtyard is a little unsightly, an extremely sleek cycle store more than makes up for it. Matthew Richardson, one of ABIR’s directors, has done an amazing job on this project and the firm generally, a new practice with much experience, is certainly one to watch. With the Birdcage Bandstand already under their belts, and some revolutionary beach buts in Boscombe on the way, I can’t wait to see more.